Living generously isn't about money. It's about transformation. Generosity will change your life. When you put God above material things, you declare your trust and faith in him and invite his blessings into your life. But it doesn’t just change your life—we see Jesus' transforming power at work every day through healed families, restored faith, and stronger communities. We’re passionate about reaching people for Christ—and we believe God has called us to move into new communities to do this. But we can't do it without you. 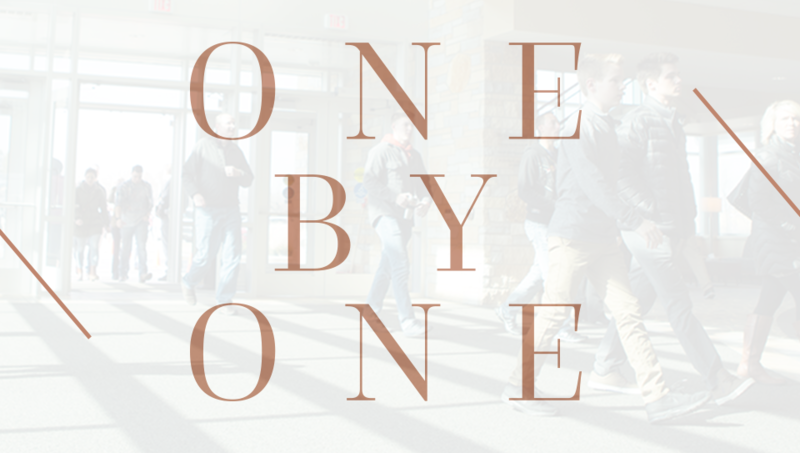 That's what One by One is all about: partnering together to reach one person and one community at a time. Living generously isn't a transaction. It's a relationship. The Bible teaches us a baseline standard for giving: the tithe. When we give the first 10% of our income to the church, we put God first in our lives. But it's not about the transaction—it's about putting our relationship with God above everything else. Tithing is the foundation of our giving—an act of worship that expresses our gratitude, faith, and love for God and others. Tithing—which just means "tenth"—is a giving principle taught throughout the Bible as giving the first 10% of our income back to God's purposes. It's one of the most tangible ways we worship God because it declares that he is first in our lives. By bringing our tithes to the local church, we show God we trust him and actively become part of the most important work in life that there is—spreading the Good News of Jesus Christ. Dig deeper into the biblical teaching around tithing by reading these verses: Leviticus 27:30, Proverbs 3:9-10, Malachi 3:6-10, Matthew 6:19-24, and 1 Corinthians 16:1-2. We believe wholeheartedly that God blesses those who live generously. So we want to issue a challenge: Tithe for three months and see what happens. And here's our promise to you: If you don't start to see a transformation in your heart or in your life, we will refund 100% of your tithe. No questions asked. Living generously isn't a one-time thing. It's a lifestyle. God has called us to live generously. We do this when we respond to God by supporting the needs of the church, community and world—when we serve others and share our time, talents and finances. We do this when we pray for people, show love, and live each day with God's wisdom. We do this by celebrating what God is doing—in our church and in the lives of others.